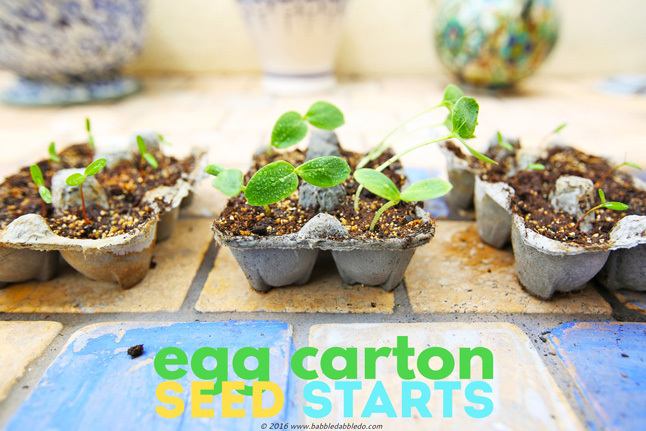 This is a favorite garden project for kids: Seed Starts using Egg Cartons. We might have actually overdone it this year as I have more seedlings than space! In any case check out how to start seeds over on PBS Crafts for Kids where I share the complete tutorial. Aw, these are so cute! Projects like this are so fun to take on with little ones. It’s a great way to foster their appreciation for gardening and plants early on, and it gives you an opportunity to work towards a goal together! Very cool! Thanks for sharing this idea! Glad you enjoyed it and thank you for reading! They look great! A great way to learn about nature and about recycling! Just remember to have everyone thoroughly wash their hands after handling egg cartons. Cool idea! Egg carton does really great. Thanks for sharing this.